If you’re in the market for a new midsize sedan that can handle a variety of tough jobs with ease, then check out the 2015 Toyota Tacoma. The new Tacoma is a versatile midsize pickup truck that can tackle everything from a daily commute to towing large cargo. For our best price on a new Toyota, visit Landers McLarty Toyota in Fayetteville, TN. As one of the state’s top-rated Toyota dealership, we proudly serve Huntsville, Columbia, Murfreesboro, TN. Stop by our dealership at 2970 Huntsville Highway and discover the new Tacoma today. There’s a lot of midsize pickup trucks on the market today, so let’s see how the 2015 Toyota Tacoma does against the Nissan Frontier. As midsize pickup trucks, both vehicles are equipped with powerful engines that can tackle a variety of jobs. The base Frontier is equipped with a 2.5L inline-four that makes 152 hp and 171 lb-ft of torque. The entry-level model Tacoma has a 2.7L inline-four that produces 159 hp and 180 lb-ft of torque. The Tacoma’s base engine is more powerful than the Frontier’s and also achieves better fuel economy, as well at 21/25 mpg (city/hwy). Both pickup trucks are available with a 4.0L V6, but the Tacoma’s engine can carry more weight in its bed. 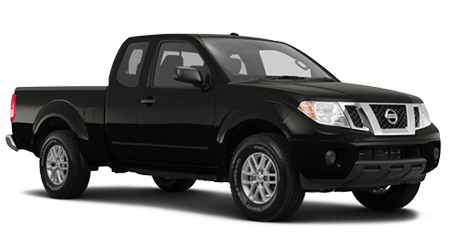 The Frontier is rated to carry up to 1,471 lbs. in its bed, while the Tacoma has a maximum payload capacity of 1,500 lbs. After driving the new Tacoma at Landers McLarty Toyota, you’ll want to drive the vehicle on a regular basis. With the Tacoma’s extended warranty, you can concentrate on the job at hand and not on the vehicle. Both pickup trucks have a 5-yr./60,000-mile drivetrain warranty, as well as a 3-yr./36,000-mile basic warranty. In addition to that, the Tacoma also comes with 2-yr./25,000-miles of free maintenance, which the Frontier does not have. 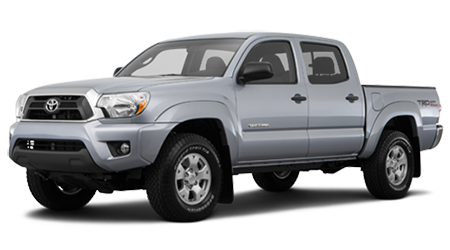 The 2015 Toyota Tacoma is an excellent pickup truck that can fulfill all of your daily tasks. When comparing the Tacoma to the Nissan Frontier, the Toyota has the upper hand with its more powerful base engine, payload capacity and free maintenance plan. Stop by Landers McLarty Toyota in Fayetteville, TN at 2970 Huntsville Highway and test drive the new Tacoma today.